Edge finders are used to find the exact position of a workpiece relative to the spindle of a milling machine. 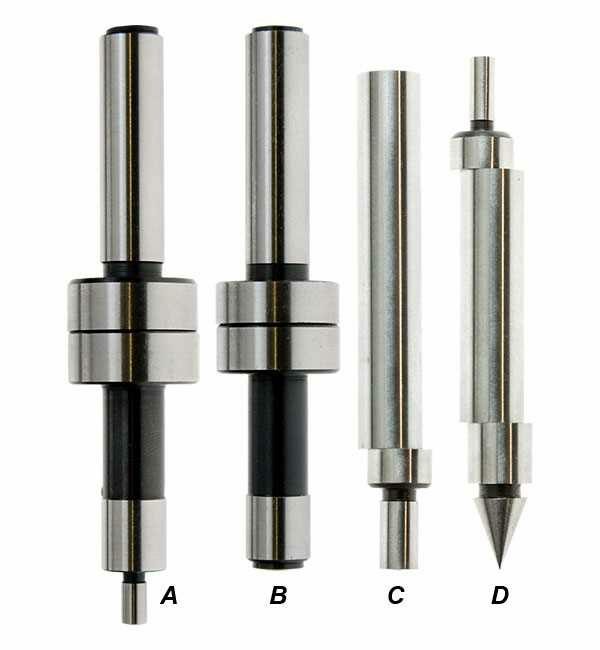 Hold the edge finder (using a 10mm collet or end mill holder) in the spindle of the mill and set the tip off-centre. Set the spindle to run at about 500rpm and slowly advance the tip (in X or Y) towards the edge of the work. Continue feeding when the tip touches the work and as the spindle approaches the datum, the two central flanges of the edge finder will begin to align. At the moment the machine passes centre, the tip abruptly kicks sideways about 1.5mm as it tries to run along the edge of the work. At this point stop feeding and note down the handwheel position. The spindle centre will now be exactly half the edge finder's tip diameter from the edge of the work. If required, the procedure can be repeated to double check your handwheel reading. * Double ended with an Edge and Centre Finder.